Need to Expunge Your Criminal History in Hawaiʻi? If you’ve ever been detained or sentenced due to a criminal charge, you might be wondering how you can prevent others from viewing your past charges. While every single person commits mistakes, having a criminal history can prevent you from getting hired, purchasing a home, and it can also affect your immigration status to list a few. 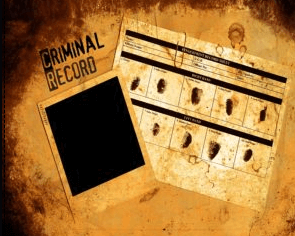 Having a criminal background can affect you in a multitude of ways and if you have ever been convicted of a crime, it is highly likely that your criminal history is stored and collected in a state and/or national system. The Hawaiʻi Crime Information Center, for example, is a database utilized by the State of Hawaiʻi. This database stores a record of all prior arrests and/or convictions of criminal defendants. If you have been convicted of a crime and are having trouble in your personal, employment or professional life due to your past mistakes, it is important to know that the process to expunge your case can be difficult and stressful and can widely vary from state to state. With the help and support of an experienced attorney, you may have the opportunity to move past your criminal history and begin a new path in life. When looking to work towards an expungement, an attorney can help guide you through the difficult process, ultimately saving you time and possibly money. Like most states, Hawaiʻi does allow criminal expungement, though it is limited to those who were arrested or charged with, but not convicted of a crime. If a person fits that criteria, they can apply to have that arrest expunged from their criminal record. The arrest must meet certain criteria as specified by Hawaiʻi Revised Statutes Section 831-3.2 with the following form Expungement of Non-Conviction Arrest Records – HCJDC-159. Regarding a plaintiff’s immigration status, however, these rules may be applied differently. For example, unless a pardon or an expungement was granted on the basis of verified and factual innocence, the United States Citizenship and Immigration Services (USCIS) may continue to treat an expunged or sealed record as a criminal conviction. Furthermore, even if the immigrant was convicted, made restitution, and as part of a plea agreement had the court record expunged, that initial conviction will still appear on the immigrant’s record and the immigrant may well find him/herself in deportation proceedings. The process of expunging a criminal count in Hawaiʻi is crafted from several factors, commonly including the requirement that an applicant deliver (or “serve”) papers to district attorneys, while others require the applicant to prepare the legal document (or “Order of Expungement”) which will be signed by a judge. Once you have obtained an expungement order, you may also be required to serve it to different agencies who also have records related to your arrest or conviction, such as your state’s department of corrections. Though the process is inarguably difficult, and occasionally quite lengthy, after successfully expunging a crime, the plaintiff will possess the legal right to tell future employers or other institutions they may form relationships with that the event never occurred–even under oath. In this scenario, you may be able to qualify if the law enforcement agency did not report your case to the prosecutor in order to be officially filed. Another way of qualifying under this scenario is if the overseeing agent did receive your case but decided not to file a formal accusation or indictment. This typically means that no formal charges were filed against you by any agency. The prosecutor overseeing your case filed for an indictment or accusation but the charges were later dismissed. Your criminal charge was discharged due to judicial budgeting. You successfully concluded a mental health or drug management program. You were sentenced to a crime when you were under the legal age and were therefore a minor. Your conviction was overturned or vacated. While this is not an extensive list of what would qualify you to obtaining a restricted record, seeking the support of an attorney can help you determine if your case will otherwise qualify. An attorney would not only see that you meet the time limits of filing for a restricted record, he or she will also see that you have the best opportunity at filing for a successful restriction. Unfortunately, there are various cases where the restriction of your record is not permissible. Examples of these crimes can include child molestation, sexual battery, DUIs, theft, vehicular homicide, and prostitution. Applying for a record restriction is a complicated matter that can be become stressful and could take a long time to file. If you are considering filing for a record restriction or a similar form of expungement, a professional attorney familiar with these specific cases can benefit your case. While criminal expungements are rare, they nonetheless are possible under certain situations. Deciding not to file to have your arrest record cleared and restricted can cost you valuable time and even money. Do not allow a mistake you committed in your past dictate your future to a safe and secure job. Contact an attorney who will guide you through the process and ensure that your new opportunities are not affected because of your past.